72173-BL is rated 3.9 out of 5 by 12. Is there a smaller pop up in stainless? &nbsp;I purchased the 72173 and it just looks to large for the sink. A smaller one would look so much better!!!!! What is the correct orientation/location for the upper seal of the 72173 push pop drain assembly? 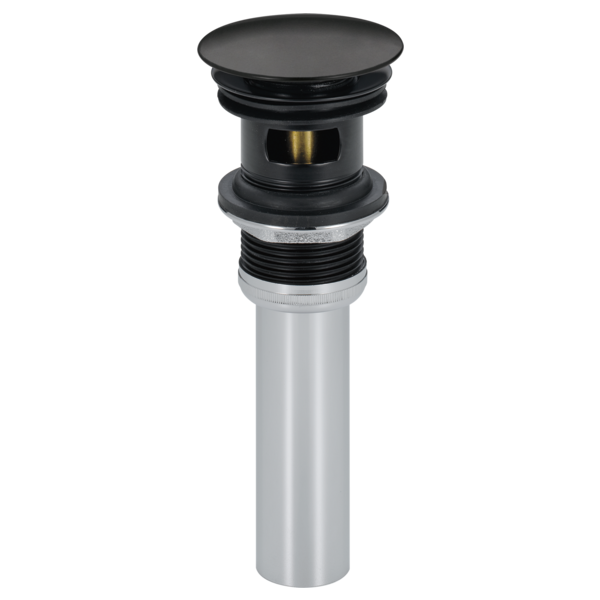 The shape of the upper seal gives impression that it should be installed into the sink's drain/overflow cavity by itself and then have the drain body passed through it ... or should it stay up against the flange (entire seal) so that both surfaces of the seal are between sink base and the flange?